Dr. Richard Fujimoto is a Regents’ Professor in the School of Computational Science and Engineering at the Georgia Institute of Technology. He received the Ph.D. and M.S. degrees from the University of California, Berkeley in 1983 in Computer Science and Electrical Engineering as well as two B.S. degrees from the University of Illinois, Urbana. He has been an active researcher in the parallel and distributed simulation field since 1985. His publications include include seven award winning papers. He is author or co-author of three books. He led the definition of the time management services for the High Level Architecture for modeling and simulation that is now part of IEEE standard 1516. 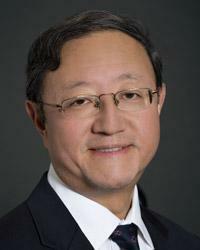 Fujimoto has served as Co-Editor-in-chief of the journal Simulation: Transactions of the Society for Modeling and Simulation International as well as a founding area editor for ACM Transactions on Modeling and Computer Simulation and has served on the organizing committees for several leading conferences in the parallel and distributed simulation field. He received the ACM Distinguished Contributions in Modeling and Simulation Award in 2013. At Georgia Tech Fujimoto was the founding chair of the School of Computational Science and Engineering (CSE) and served in that role from 2005 to 2014. During this period his accomplishments included growing the school to 13 tenure track faculty as well as establishing the school’s administrative staff. He led the creation of interdisciplinary M.S. and Ph.D. degree programs in Computational Science and Engineering. He led the creation of the College of Computing’s first on-line distance learning degree program, the MS program in CSE. At the undergraduate level he led the Computational-X initiative that resulted in the creation of two new undergraduate minors – Scientific and Engineering Computing and Computational Data Analysis. He also played a leadership role in creating the CRUISE (Computing Research Undergraduate Intern Summer Experience) program including outreach to women and minority students. He co-led the initial development of Georgia Tech’s professional masters program in Analytics with faculty in the College of Business and School of Industrial and Systems Engineering. Under his leadership, the School of Computational Science and Engineering was formally established as an academic unit within Georgia Tech in 2010.